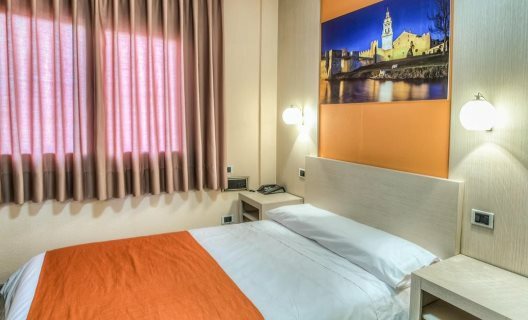 Wonderfully located in Soria, this hotel is situated just a 5 minutes' walking distance away from the historical centre of El Burgo de Osma. The hotel boasts stunning views over the cathedral and its walls. The centre of Soria is situated just 5.8 km away. Rio Lobos natural park is just 18 km away. The Tiermes Yacimiento Arqueologico and the Castillo de Gormaz can be found just 20 km from the hotel. This cosy hotel is modern, bright and spacious. The guest rooms are tastefully styled, offering modern amenities for visitors' convenience. Guests are sure to be pleased by the many facilities and services that the hotel has to offer. Services: Breakfast, À la carte lunch, Set menu lunch, À la carte dinner, Half board with drinks, Picnic. Room size (sqm): 15, Living room, Bathroom, Shower, Bathtub, Hairdryer, Free WiFi, Direct dial telephone, TV, Minibar, Fridge, Central heating, Desk. Check in:16:00 hrs. 00:00 hrs. Check out:00:00 hrs. 12:00 hrs.